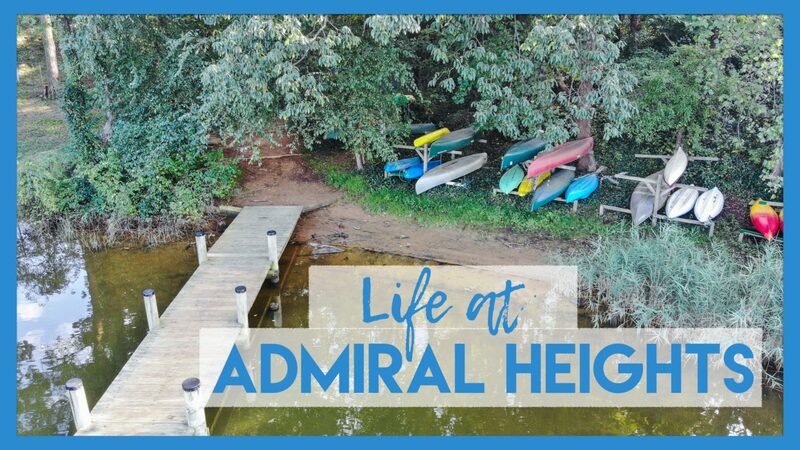 In this episode of Around The Block we chat with Jon and Kimberly, residents of Admiral Heights. This is a great area of Annapolis that has something for everyone! The community boasts two docks, kayak storage, a swimming pool and much more! If you’re looking for that close community feel, this is definitely the place to be! Each month, the community sends out a newsletter with upcoming events. During the summer you can find neighbors hanging out at the pool in the evenings watching a movie outdoors, while the kids swim in the pool. There is also a local park where the community will host potluck gatherings. It’s a great place to get to know your neighbors.